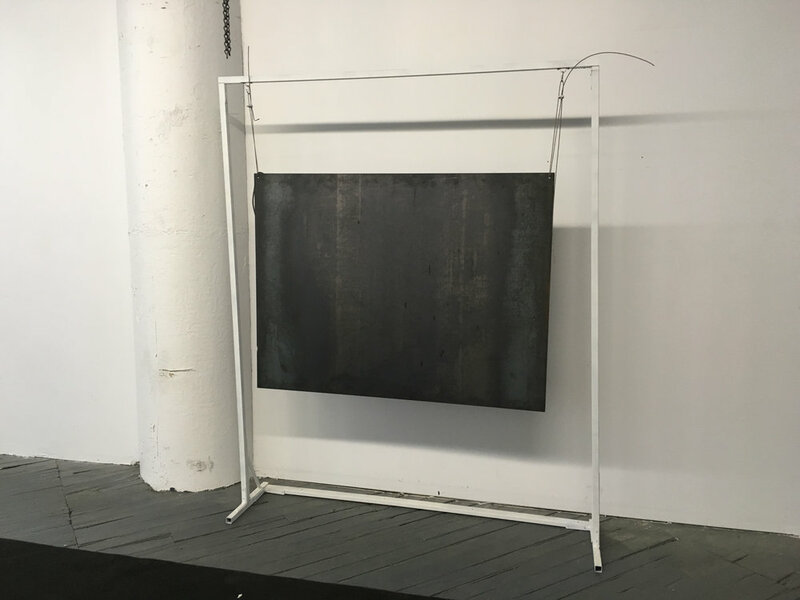 Vibratory steel panel: bi-functionality as a speaker (yes, actually vibrates to play audio), and also element of interior design. The resonant qualities of the steel produce an echo-like audio effect. This piece is shown in a gong stand, through the design concept could be expanded outwards, or embedded into architecture. You can see a rough proof-of-concept video below, where we play Erik Satie's Gnoienne: No. 3 through the steel panel. Satie composed music to create an atmosphere, something he called "furniture music".